Don’t like the idea of a by-law that prohibits stores from selling commercially-bred pets for profit? Dislike nanny-state politicking and feel like a ban would infringe on your rights as a consumer? Or the stores’ rights as retailers? Under Canadian law, pets are property, so lets talk about this issue within that framework for a second, and leave out the animal welfare concerns. If you’re a fiscally conservative type, I talked about monetary implications of a ban yesterday. The retail pet sale model is familiar to most people in North America. You walk into a pet store, and you can walk out with a puppy or kitten. Sometimes they’ll even let you finance that purchase (O.A.C., of course). From the perspective of the store, presumably the biggest advantage is having the animals in the store to begin with – they draw people in to look at the cute animals, and while they’re there, maybe they can pick up some pet supplies, or maybe even go home with a new pet. Whether or not the sale of the pets themselves garner a huge profit is hard to tell, because the stores report two different things depending on the question; sometimes they allude to high overhead based on the cost of providing top-notch care for those pets while at the store, but then other times they argue that ending retail pets sales targets them financially. Suffice it to say, if having pets for sale in the store was a huge financial drain, it wouldn’t happen, because that sort of thing doesn’t make for a successful business. When it comes to stores that have ceased selling pets and optionally moved to an adoption model by partnering with a rescue organization, two different reasons are cited. 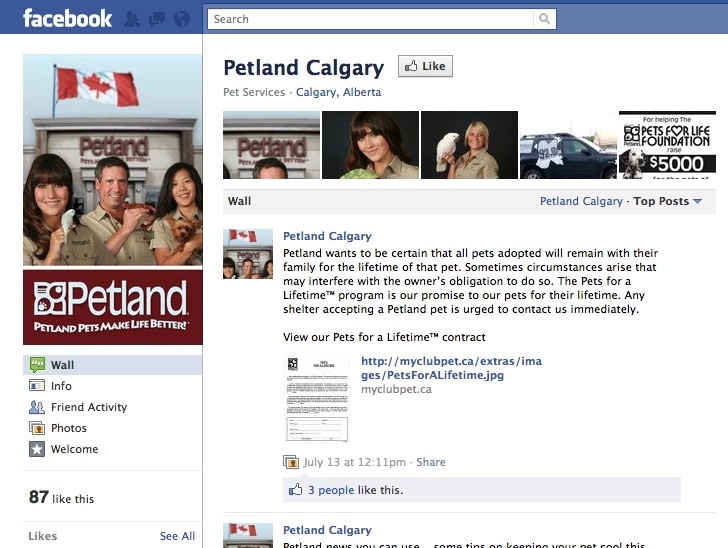 The national chain, PJ’s Pets and Pets Unlimited, which does not have any Calgary stores, but does have Edmonton locations, cited ethical reasons for the move, acknowledging that their position could better be used to find homes for adoptable pets and creating a positive impact on local pet communities. The decision made by corporate Petland to cease retail animal sales (a decision that does not apply to franchise locations, which is why some have not switched), was a decidedly financial one. Petland made it clear it was a business decision (no attempt even made at cause marketing), since they have seen a reduction in their own animal sales. 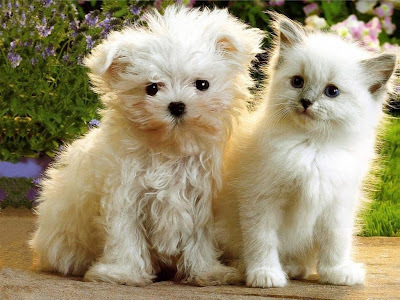 They have attributed that reduction to increasing online pet sales. Therefore, if businesses are making the switch to both help the community and their own bottom line, those few locations that still grasp on to retail pet sales seem to be falling behind the industry trend. They label themselves unfair targets of pet sale bans, when doing so may be doing themselves more harm than good. But I suppose it’s a business’ own right to decide to fail, so why would we interfere with a pet sale ban? Because the other side of this perspective – the consumer’s – also needs to be taken into consideration. Think about the product you are purchasing if you get a pet from a pet store. You have not seen where this pet comes from, and information about where it was bred and how it made it’s way to the store is not disclosed. And any requests for this information and more transparency into retail pet sales have been denied. You actually cannot make an informed decision, and buying a pet from a store violates most guides on how to pick out your next pet simply due to the lack of information and history of the pet you are given. You know these pets do not come from registered kennel club breeders who have a practice of extensive health clearances and screenings before breeding even takes place; kennel clubs forbid their members from selling puppies through retail environments. Instead, you simply must take the word of the sales person at face value that the breeders treat their animals well with health in mind. After all, you don’t want to buy a lemon puppy with a health disorder that could be expensive down the road; that’s not a wise purchase or a good investment. And when the pet store tells you their breeders have gone through inspections, you are also forced to take that at face value, because the inspection requirements are not disclosed. Better yet, the pet stores are responsible for checking their own breeders and determining their own criteria for these inspections – there are no third parties involved. In other words, there are no government regulations overseeing or inspecting commercial breeding practices of companion animal breeders, and pet stores are vetting their own breeders. Since when did a self-regulating industry – with no transparency or accountability – have the best interests of the consumer in mind? The problem is that with pet sales, unlike with purchasing a car, for example, it’s much harder for the consumer to be unbiased, and much more likely for them to believe what a sales person is telling them. After all, if you’re staring at the cute face of a kitten your kids are playing with, and the store is reassuring you that your “new family member” will be with you, happy and healthy, for a long time, you’re going to want to believe them. These things basically sell themselves. Once you’re in the store, it’s unlikely you’re going to shop around any more than that. Or if you are, and you do happen to go online, the exact problem Petland cites is indeed the case; you can purchase the exact same sort of unregistered purebred “type” dog from a backyard breeder on Kijiji for the fraction of the price the store sells them. The buyer has the same lack of information and health history on the animal, but instead of buying it for $1,500 in the store, you find it for $500 online – and you probably don’t even have to fill out warranty paperwork or give them your home address. The only difference is that the store props itself up as a legitimate business and household brand that wants you to assume it has the best interests of animals in mind – but the product is actually the same. And, just like any other products, when sales numbers and profit take precedence, quality always suffers. The only difference here is that the product is a living animal, and is marketed to you as a future family member. More simply put, the retail model is no longer profitable or a wise choice of an informed consumer, and any sense transparency, legitimate industry regulation, informed consumerism, or quality product guarantee as always been missing. In Chicago, customers are currently suing a pet store chain for selling defective products, after owners of six puppies found their animals to have serious health problems the store’s bare-bones warranty wouldn’t cover, even though the store advertises healthy puppies from reputable breeders. This is just one example of several lawsuits lodged against pet stores and online retailers south of the border for misleading consumers and selling unhealthy animals. The purpose of a retail ban is to put an end to this practice that is not in the best interest of the customer – or of the product. If you are concerned your ability to find a new dog or cat will be limited, you are sadly mistaken. The adoption model in which pet stores feature adoptable animals from local rescues, while the adoption still takes place through the rescue, highlights the number of available animals in our City, and also ensures pets are still in the stores when you go there to play with them. The pet store even retains the large marketing benefit of featuring dogs and cats in store to draw in customers. And should I even bother mentioning that an adoption fee of $150 or $200 is far less than the cost of a pet store puppy, and likely even less than most of those Kijiji breeders? They even come fixed, which saves you a few hundred dollars down the road. It’s a major win for the consumer. Pet selection will also not be reduced – rescues are frequently flooded with puppies, and there are several local breed-specific rescues if you are looking for a purebred dog. And, of course, the reputable, kennel club-accountable breeders will still be around, to ensure you can find your happy, healthy purebred puppy. Not to mention, the greater exposure given to homeless animals can result in customers wanting to adopt rather than buy from Kijiji, indirectly putting a dent in online pet sales. And the increased adoptions of spayed/neutered animals from rescues will also help to combat potential new generations of backyard breeders, as well as the population of homeless pets burdening our local rescues, the Calgary Humane Society, and the City’s Animal Services. So there you have it: pet stores are not only bad for the puppy – they’re also bad for the customer. And just like government bodies are there to ensure consumers can’t be sold cars that will break down, drugs that have terrible side effects, or food that doesn’t meet quality standards, there’s a role to be played in the retail sale of pets. This is one of Calgary’s many Petland locations. And I went to confirm some rumours I’d been hearing. And I probably don’t need to tell you that I haven’t been inside of Petland, well, since that last time. Since Petland actually does sometimes use the word “adopt” to refer to retail pet sales, I was pretty cynical when I saw it. And I was even more cynical on Saturday when I was told Action Speak Louder (Calgary)’s favourite two-time television debate opponent, Robert Church, was on the radio, live on location, promoting the adopt-a-thon. But then a complete stranger shared an interesting observation on Twitter yesterday, and I decided I had to go for another field trip. I mean, I have been waiting with bated breath for a response to my letter to Petland. I really wanted at least one reply and based on their history of having several staff members stop by the Soapbox and write openly, I was a little surprised and dejected when I didn’t get one. And I refuse to accept that this note posted on Petland Canada’s Facebook page – posted for all 323 Facebook fans of theirs to read – is my response. Though it did come out one day following my letter so… who’s to say? But it’s more of the same blanket reassurances as usual, without any actual proof, transparency, or specifics. If it’s a reply, it’s not a very good one. So based on that, and on Mr. Church’s vehement defences of Petland’s practices in the recent televised debates, I was skeptical; a Petland going adoption only? In Calgary? Can it be true? I should note, it wouldn’t be the first time for Petland. There is a Petland in Winnipeg that has served as a satellite adoption centre for the Winnipeg Humane Society for quite some time now. And there are a couple of Petland locations in the U.S. that have also gone the way of PJ’s Pets, and opted for adoption only for dogs, cats, or both. So this evening I stroll into the Coventry Hills Petland location unencumbered, a little surprised my face isn’t posted on a wall in the front, America’s-Most-Wanted-style. And the first thing I notice? There are no puppies. None. Several cats, but the windows that would house available puppies are dark and empty. So I flagged down a Pet Counsellor and start asking questions. And it turns out the rumours are true! Which is great! This Petland location will no longer be selling dogs and cats. Instead, they will be partnering with local rescue organizations to house adoptable cats and bring in adoptable dogs on weekends during adopt-a-thons. To clarify, currently, the cats are a mix of Petland cats and adoptable ones. Evidently no other locations were able to take on the retail kittens, so they will be selling the ones they have left and going adoption only for cats after that. The ad for last Saturday’s adopt-a-thon was for the first one they’d hosted and the partnering rescue for that weekend was the affiliated Pets for Life Foundation. The Pet Counsellor informed me that they have canvassed “all of the local rescues”, naming both specifically the Calgary Humane Society and ARF (Alberta Rescue Foundation), and that it will be one of a number of local rescues bringing in adoptable animals any given weekend (have yet to get confirmation of this partnership from the rescues, however). The Pet Counsellor was unable to confirm whether or not adoptions would be handled through Petland or through the rescue, being a little unfamiliar with the new process. But she did tell me that this location is serving as a pilot for the other Calgary locations, to see how the process works, if it’s successful, and to work out the kinks before other locations also make the switch (if they do). Personally, I’m stoked. This is probably the best response to my letter I could get – them doing exactly what I have asked and only 11 days after the request! I am admittedly confused, though. I’m not complaining, but I am perplexed. I mean, why go to such great lengths to defend Petland policies and practices, strongly asserting the belief that the retail sale of pets is doing the right thing for the right reasons, only to turn around and change policies for the better as requested? It’s like the weird defence of financing pet purchases all over again. 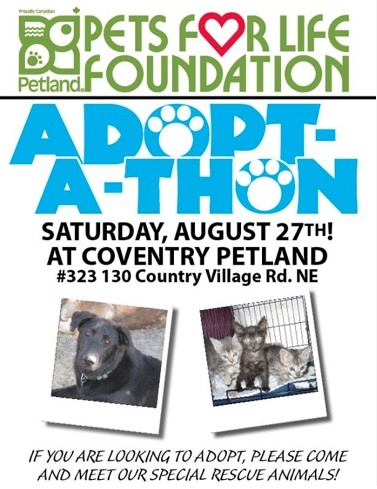 Or why, even amongst all the advertising of the adopt-a-thon, is there no mention that the Coventry Hills location is now adoption only? That’s huge news! … Isn’t it? Oh well. I doubt I’ll ever get insight behind that, but it truly doesn’t matter. 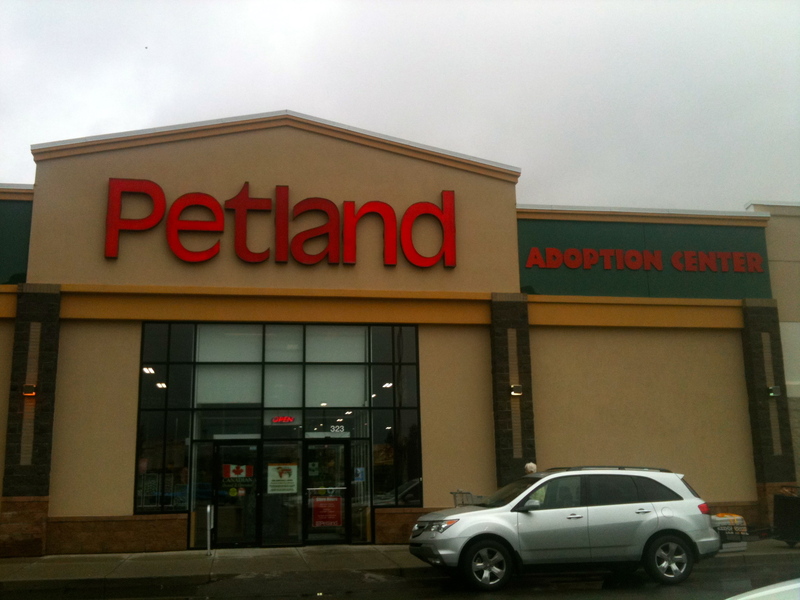 What matters is that there is a Petland location here in Calgary that has made the ethical choice to go adoption only. Check out the weekend adopt-a-thons. Tell them how much you appreciate and respect this move! If you’re a Petland shopper, instead of going to the Petland in your neighbourhood, drive a little further to the Coventry Hills one and give them your business! Show them with the only thing that matters to a company – your dollars – that you are supportive and enthusiastic about this improvement. Encourage them not to change back; it’s a pilot program, remember, and a Petland in Wheaton, Illinois attempted this model in 2010, only to change back 3 months later. Support this Petland so that other locations will start do to the same. Yes, one location is a big deal and a good step, and shows they’re willing to consider change, but there are seven more in this city (35 more across the country) I expect to follow suit. One franchise, one city, one store location at a time – the pet industry is changing. For the better. Did you watch the Calgary Now! debate on Shaw TV (Calgary) – channel 10? If you missed it, it will air again on August 17 at 10:30pm and August 19 at 2:00pm. If you forget to set the PVR or don’t get your television through Shaw, they will put it online after the last airing. But I’m guessing you saw it. You were there. Well, Mr. Robert Church, owner of Petland Market Mall and a Director of PIJAC Canada, was there. Also present were Patricia Cameron of the Calgary Humane Society and RJ Bailot, a Director of Pound Rescue, a local no-kill shelter. Banning the sales of pets in stores, of course. This is a very hot topic since Actions Speak Louder (Calgary) is pushing for this issue locally with the support of several rescue organizations and local businesses, and many other cities are implementing bans (e.g., Los Angeles, CA; Austin, TX; Richmond, BC), and even more are currently considering bans themselves (e.g., Toronto; San Francisco). There were a couple of things about the debate I wanted to specifically bring up. Patricia Cameron says that Calgary Humane sees approximately 8,000 animals through their facility each year. Nearby Cochrane Humane sees an additional 1,200 animals, and the City of Calgary Animal Services sees 5,000 animals annually. And that does not include the several other local rescues – Pound Rescue included – that foster and re-home several hundreds more. 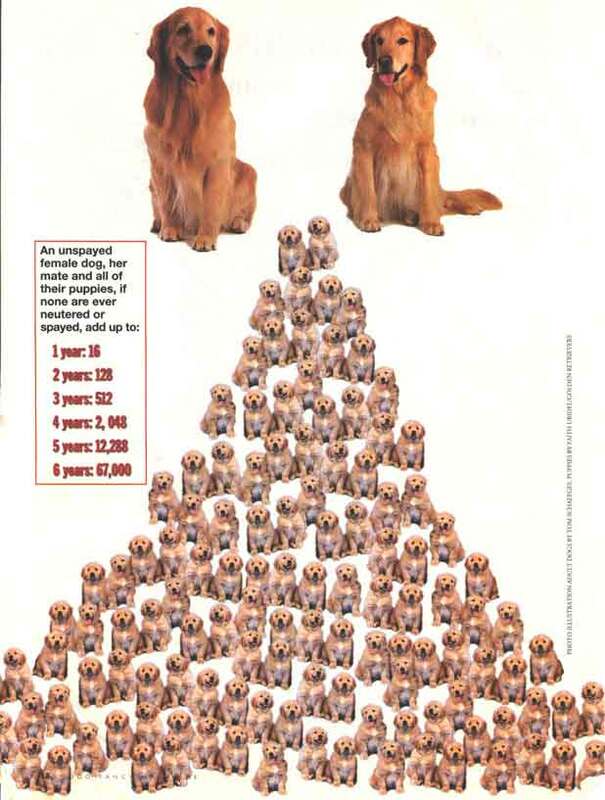 If you do the math, that’s upwards of 15,000 pets annually that go through these Calgary and area rescue organizations. That is no insignificant number. At 8 minutes into my PVR recording of the Calgary Now! debate, your representative Mr. Church says that, in order to tackle pet overpopulation, “all of the industry players should work together” and “we all want the best for our animals”. I have no doubt about either point. Based on our previous exchanges here at the Soapbox, I do believe you don’t necessarily think there is anything wrong with selling dogs and cats in your stores. But just because you believe it, doesn’t make it so. Why are you, Petland, digging your feet in, drawing a line in the sand, and refusing to budge when it comes to pet sales? Why can’t you go beyond “good enough”, go beyond placating customers and the general public, and actually try to do the absolute best for the pet population as a whole? I’m not talking about you “sourcing your animals”, “guaranteeing them to the nines”, and always letting them be returned to your stores. And I’m not talking about you releasing some breeder information in an attempt to convince the public that the problem is solved and the issue is dead. At 10 minutes into the debate, Robert Church talks about Petland breeder inspections and making those results available to the public, which they haven’t done in the past. And you know why? “Because nobody has ever asked us before!” he says. Really?! I’ve been personally asking since our first debate here on the Soapbox in October 2010, and I know you know because many members of your executive team were here commenting and replying. Actions Speak Louder (Calgary) has been asking as an official campaign for more transparency since its launch March 2011. Not to mention releasing breeder inspection results in a form yet to be specified after several months of requests does actually not guarantee any real information, but it sure does sound good, doesn’t it? And I happen to know this debate was taped in June; it is now August – where’s the info? At 9 minutes into the debate, your representative says “you will not find your animals in a shelter”. I am wary of these kinds of generalizations. Not? Ever? Really? I follow Pound Rescue on Facebook and on July 10, 2011 they posted that they took in their second (un-altered) Petland surrender that week. So yes, we do find pet store animals surrendered to rescues; some of your sales directly burden the rescue community. 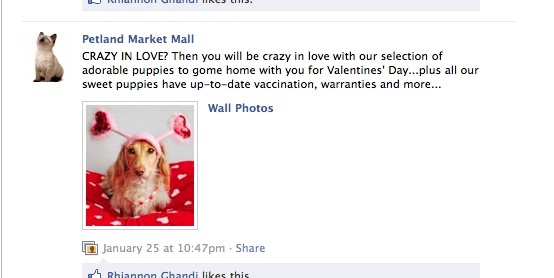 And if you check Kijiji, there are dozens more people either giving away or re-selling their Petland pet purchases. On August 8, I took a few minutes to see for myself, and made a slideshow of select Kijiji ads that you can view here. RJ makes an excellent point, at 9-10 minutes in, when he says “the bottom line for a retail outlet is making profit off of a product, so when animals are merchandised as they would be a t-shirt or a pair of shoes, it puts different value than in a rescue organization. Right now we see stores that use the word ‘adopt’, and really that’s misleading, because the term ‘adopt’ is to provide a home for an animal that is homeless, not to sell an animal – that’s a transaction”. So I took to the trusty internet and captured some screen shots for your consideration. No use of "adopt"? Hey, who's that handsome guy in the middle of the profile picture? 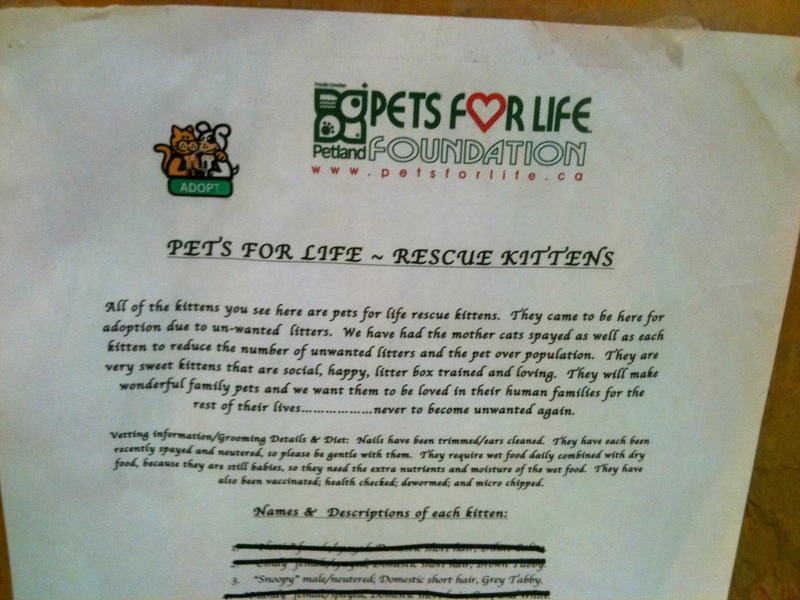 The Pets for a Lifetime contract itself refers to “…the pet that they are adopting from Petland…” in the second sentence. Obviously Mr. Church doesn’t see himself on the same side as “the animal rights people”, despite going into a long defence of something he stopped doing anyway because, really, if there’s anything I’ve learned about discussing a pet sale ban with the average Calgarian, it’s that, regardless of your overall opinion on the issue, most people can see there is something inherently wrong with financing pet purchases. Does that result in judging customers’ financial means? No. If you want to pay for your dinner with a credit card, finance your new car or television, by all means, do that. Those things are products. You yourself agreed earlier in the debate, “puppies are not products” – so why treat them like they are? And what do you do if someone defaults on payment? Repo a Yorkshire Terrier-type? But let me go back to my original request, where I ask you, Petland, not to simply do what is good enough. Not to patronize me, Actions Speak Louder (Calgary), or the public. But to do your best. Because if you as a corporation, and your staff as pet lovers, really care that much about companion animals as your advertising lets on, you can do better. Take, for example, the two other large Canadian pet store chains, Pets Unlimited and PJ’s Pets. As of June 1, 2011, Pets Unlimited no longer had any puppies for sale in any of its 18 locations. And just today PJ’s Pets announced they will do the same as of September 1, 2011. 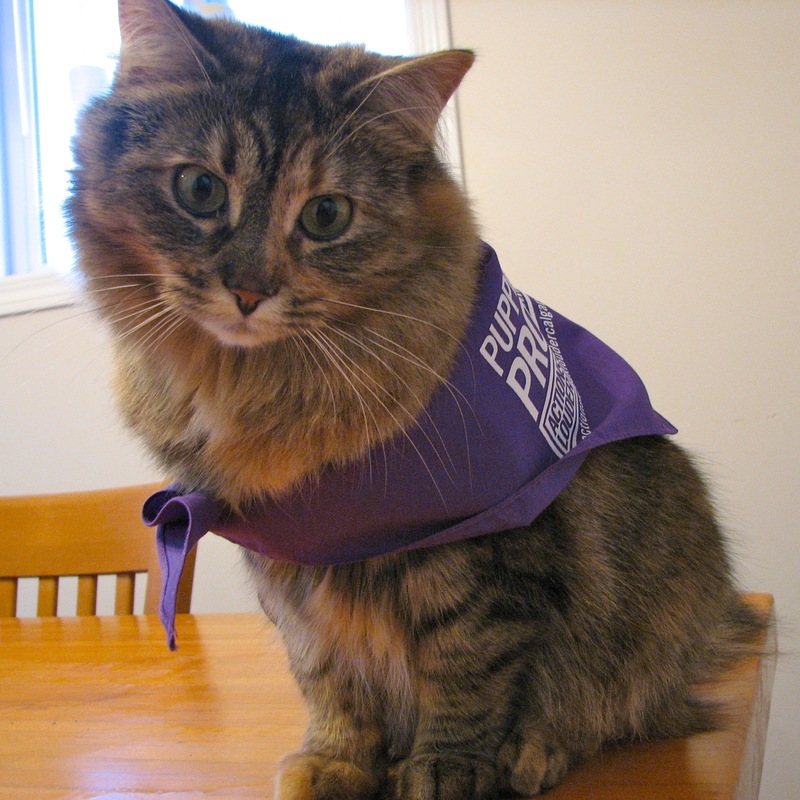 PJ's Pets and Pets Unlimited have 41 locations across Canada. I both commend and thank them for their recent decision. I look forward to a similar policy change with respect to cats/kittens (you're not done yet, guys) and I anxiously wait for other pet retailers to follow suit. This, I think, is fantastic. And a real step in the right direction. These companies are being proactive rather than reactive. And I do not find it unreasonable to expect the same from Petland. Isn’t that really the best of both worlds? 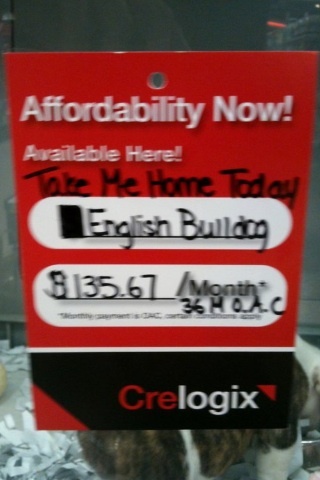 I mean, no one is going to a pet store looking for a specific purebred dog. 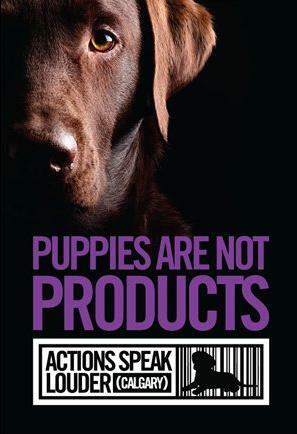 And if they are, they are severely mistaken, because you and I both know that Canadian Kennel Club (CKC) registered breeders are prohibited from selling to retail stores. So you still have your arbitrary mixes and purebred types (plenty of both in local shelters) for people to see, but instead of sourcing them for breeders who breed pets to supply your store and for profit, people instead adopt their next dog through a local rescue. Rescues get more exposure, and with that, adoption rates will increase and euthanasia will decrease; the pet community undoubtedly benefits. 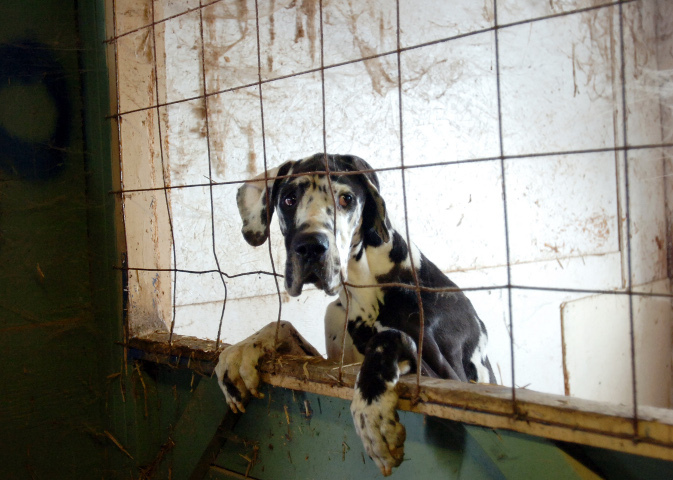 There will be no more risk that pet store puppies come from mills or backyard breeders. Meanwhile, customers can still go to the store to play with puppies. And instead of impulse pet purchases, those interested in adopting will have to go through a thorough adoption application implemented by the rescue organization. Not to mention, animals being adopted through rescues are almost always spayed/neutered prior to adoption, which is a crucial part of pet population control according to Patricia Cameron and not something you can currently say about the animals now leaving your care, despite your best guesses or promises for post-altering rebates. With an adoption model, you will even save money in animal care costs, since the animals are still under the care of the rescue organization. You will retain the marketing advantage of having cute puppies and kittens at your locations, with the added bonus of now being able to honestly say you’re doing the absolute best you can for Calgary’s (and Canada’s) pet population. You will even gain a new customer base: all those people who currently refuse to shop at Petland because you sell animals – myself included. Collaboration. Working together. Wasn’t that exactly what Robert Church talked about at the outset of the debate? 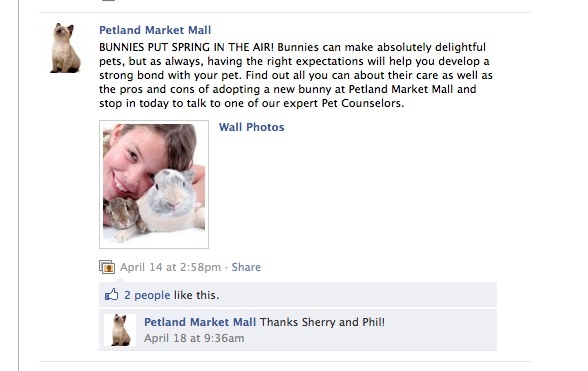 In short, why not strive for remarkable, Petland? Why defend old, questionable practices and risk extinction rather than evolve with the industry? I thank you for reading and look forward to hearing from you. To read more about RJ’s support for the initiative to ban retail pet sales, please see his post on the Pound Rescue website, Why I Support Actions Speak Louder (Calgary) – it’s worth the read. I do apologise in advance if I come across as a bit of a broken record for those who stop by quarterly during the Blog the Change for Animals campaign, but, while the cause is the same, I am happy to provide some exciting new updates from the front lines! 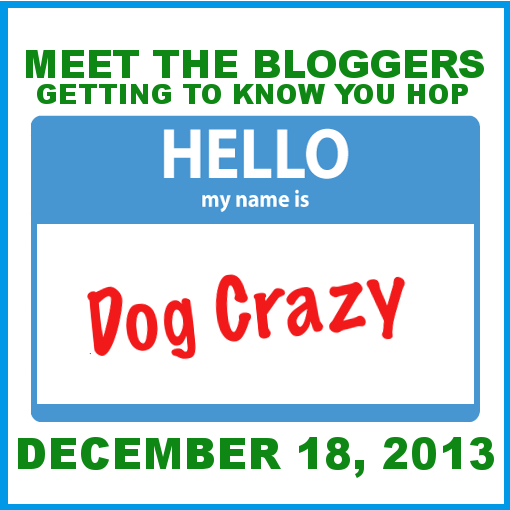 I first participated in BtC4Animals in October 2010 as a new blogger, inspired by Richmond, B.C.’s movement for a ban on the sale of dogs in pet stores. And I really have to give BtC some credit for igniting the fire when I look back on the path that I have since travelled. In January my BtC entry was a tale of continued commitment to the cause in spite of little to no recognition, alluding to a forthcoming bigger movement regarding the elimination of retail pet sales. And now, I am happy to write to you all today about the Actions Speak Louder (Calgary) campaign! 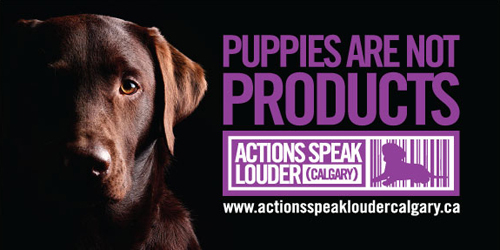 Actions Speak Louder (Calgary) (ASLC) was founded by a group of us who were sick of sitting around and just talking about how change in the pet industry needs to be made – we wanted to do something about it. And so ASLC was born and officially launched in early March 2011. The first priority and focus of ASLC is retail pet sales, and we are currently in the process of obtaining petition signatures that ask the City of Calgary to implement a bylaw that will ban the sale of dogs and cats on all commercial and public properties. Adoptions through legitimate rescue organizations, of course, are exempt, and we would be thrilled to see those retail stores that do currently sell dogs and cats retrofit themselves to enable collaboration with a rescue organization instead. So no, we are not saying you will not be able to see a dog or cat in a pet store. Instead, we would like to see an end to the breeding of these animals purely for profit and the treatment of these animals as a commodity to be bought and sold on a whim. Do we think this is going to solve all animal welfare problems? No, certainly not. But it is an important – and very visible – first step, and has so far successfully got many Calgarians thinking more about the issues. Sure, when we initially sat down we wanted to target pet stores, puppy mills, backyard breeders, online pet sales… you name it. But in order to avoid being bogged down in the details or spread too thin among several issues, we decided to focus; one step at a time. And the most visible, effective way for ASLC to start the movement here is at the municipal level. Then, if enough municipalities follow suit (and the movement is growing), as in the past, that is when provincial – or even federal – governments begin to take notice. While pet stores may indeed be a small part of the bigger overall problem concerning responsible pet procurement and guardianship, to suggest a municipal pet sale ban is entirely the wrong approach is to write them off as an non-issue altogether, which is inaccurate. This is a good first step – emphasis on “first”. As you can tell from the many comments to the online news articles, this is an issue many in our city are very passionate about. In addition to media coverage, we have also received overwhelming and very encouraging public support. The list of businesses and rescue organizations that hope to see ASLC successful is growing regularly, and include rescue organizations such as the Edmonton Humane Society, The Meow Foundation, and Pound Rescue; ethical pet retailers such as Pet Planet, No Bowndaries Pet World, Pet Valu, and Rocky Mountain Tails Pet Shop & Spa; and dog training companies such as Clever Canines and Dogma. Not to mention those on the list outside of the pet community that have endorsed ASLC and helped to spread the word! ASLC also currently has 39 locations around the city – and we add more to the list regularly – that have opened their doors to the cause and allowed us to have our petition available for their clients and customers. Spreading the word is key – we want to get Calgary (and everyone, really) talking and thinking! No matter where you’re from, like us on Facebook! Follow us on Twitter! Tell your friends about ASLC and why they should care. If you’re from Calgary, of course sign the petition! While upwards of 60,000 signatures in a 60 day period would be required for a plebiscite (forced bylaw), ASLC would simply like to petition through the summer and obtain as many signatures as possible and continue to educate Calgarians about the issues. It is Council’s job to address issues important to the City, so change can and will still come about if Calgary shows it cares and would like to see change – which is exactly why the City of Calgary Animal & Bylaw Services is also supporting the ASLC petition. So, say we obtain the 60,000 signature target, but it takes longer than 60 days? Or even just 20,000 signatures? Those numbers are enough of a representation that City Council will raise its collective eyebrows and undertake a consideration of the issue. If you would like to volunteer your time at an event, become a petition host, or have your company included as a supporter, contact us at info@actionsspeakloudercalgary.ca and we will make it happen. We also have ASLC t-shirts and bandanas for sale and hope to add additional merchandise locations in the near future. Or just pop by one of our events advertised on Facebook, sign the petition, and pick up a sticker or two. If you’re not from Calgary, but would like to initiate Actions Speak Louder (YourCityHere), get together with a group of committed and like-minded individuals and drop us a line – we would love to assist from here in any way that we can! 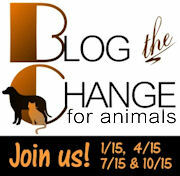 To read about more causes from more bloggers, visit the Blog the Change for Animals link list here. 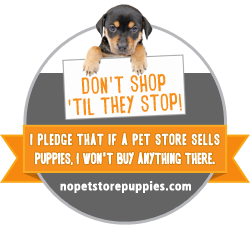 As you may or may not have heard, I would like pet stores to stop selling live animals. And if the stores themselves won’t opt to stop selling pets by their own accord (and, happily, some do, such as Paradise Pet Centre in St. Albert), then I am not opposed to forcing their hand by way of municipal bylaw. 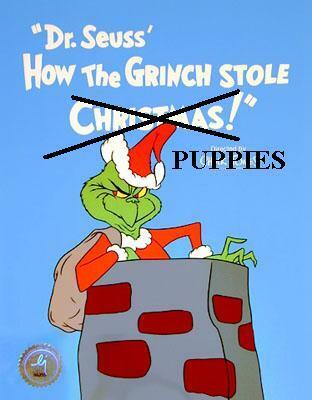 The Pet Store Grinch wants to rob you of childhood happiness. Now, if she’s looking to silence her opposition, this is definitely the route to take because I nearly died of laughter. But once I caught my breath, some immediate thoughts came to mind. First, I’d like to note that I am intentionally disregarding any complaints I may have that the “pet store experience” is not actually all it’s cracked up to be, and, like a zoo, it can actually be a pretty depressing place. Cages. Fluorescent lights. Ick. But I’ve digressed, and I now have the following official objections to the attempted guilt trip. I have suggested more than once that pet stores take the stance recently adopted by Paradise Pet Centre or Petland in East Liberty, PA, and start featuring only animals up for adoption by local rescue organizations. In this scenario, I’m happy because the pets aren’t being commercially sold (the shelter or rescue will still control the adoption process) and more visibility is given to rescue organizations and their available adoptions. And it also means that you can still take your child into the pet store, and they can still look at and play with the available puppies, kittens, birds and bunnies. To the eyes of the child, nothing will change. Ah. Sorry. I slipped. Let me start over. By advocating for a retail pet ban, I am not looking to ban pet ownership itself, which should be clear. Instead, I am looking to encourage responsible pet ownership. Pet stores market to that “puppy in the window” syndrome, and yes, impulse pet purchases happen. And then surrenders happen and the rescue pet is created. I would truly appreciate it if someone would explain to me how encouraging people to find a reputable breeder or go through a more thorough adoption process with a rescue agency are negative consequences of a pet store ban. No, I admit you won’t likely be able to take your new pet home within a day or even a week of deciding you want one, and you may have to spend some time and jumping through a couple of hoops before your adoption is approved. But at the end of it all, you will have matched your family with a suitable pet who will bring you years of joy, wonder, and excitement. 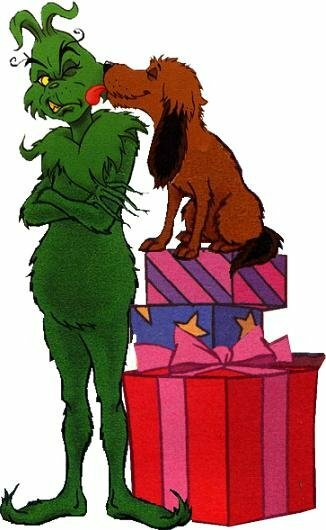 Even The Grinch had a pet. 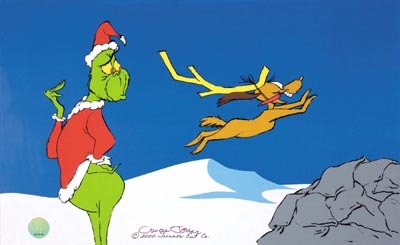 In fact, in the movie from 2000, The Grinch’s loyal dog Max was played by six different mixed-breed shelter rescues. There are already enough dogs, cats, rabbits, and other pets out there who need good homes without adding commercially bred and sold pets into the market. Taking away the ability of Petland and others to sell animals is not going to result in a sudden decrease of available pets. Take Calgary and area, for instance: there are lots of rescues and shelters overburdened with pets in need of good homes. Alberta Animal Rescue Crew Society (AARCS): A non-profit organization whose mandate is to rescue abandoned, surrendered or abused small animals (dogs and cats) from First Nations Communities in Central Alberta and place these animals in the safety of a foster home system while awaiting suitable placement in forever, adoptive homes. Animal Rescue Foundation (ARF): ARF’s mission is to rescue stray and unwanted dogs and cats from First Nations and rural areas and place them in loving, permanent homes while providing programs to reduce pet over-population. Calgary Humane Society: It’s even organized like a pet store, where you can see and meet adoptable cats, dogs, rabbits, birds, chinchillas and aquatic animals. City of Calgary Animal Services: Give a rescued or surrendered dog or cat a second chance. Cochrane & Area Humane Society: Re-homing dogs, cats, non-companion barn cats, and other animals such as rabbits. The Cochrane Humane Society is a charitable organization dedicated to promoting and preserving the well-being of animals, sustained by volunteers and the community. Furever After Rescue Society: A non-profit organization dedicated to the rescue of dogs from high kill shelters, disasters, neglect and other tragic situations from Canada and the United States. 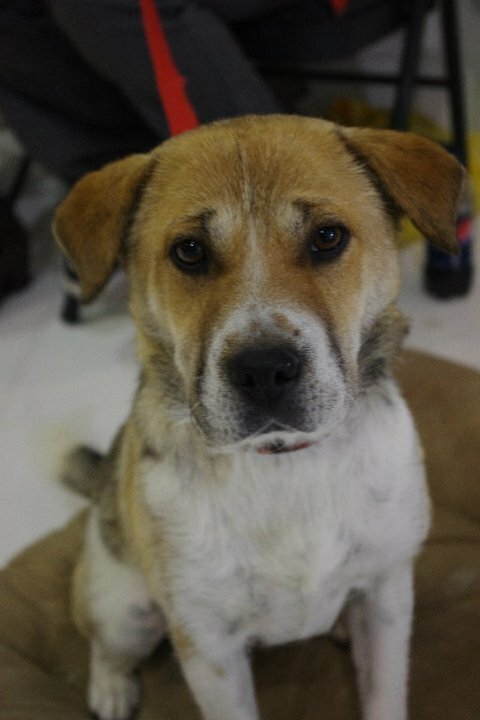 Heaven Can Wait Animal Rescue Foundation: Providing shelter, care and nourishment to abandoned, abused and homeless domestic animals (dogs and cats) within High River and the surrounding area. MEOW Foundation: MEOW Foundation is a registered charity and humane society with a no-kill mandate. We facilitate the adoption of the stray and abandoned cats that we rescue into new loving, permanent homes. Misty Creek Dog Rescue: Misty Creek Dog Rescue takes in dogs from pounds, reserves, other shelters and voluntary owner surrenders providing them with medical care, vaccinations, and behavioural training with the aim of finding them forever homes. Because of the strict no-kill mandate, dogs may stay at the shelter for years until they are successfully placed with a suitable family. Oops-A-Dazy Rescue and Sanctuary Society: Helping adoptable dogs, cats, and even pot belly pigs and other farm animals such as donkeys, goats, and alpacas. Pawsitive Match Rescue: Pawsitive Match saves dogs facing life-threatening circumstances in Canada, United States, Mexico, Turks and Caicos, and the Northwest Territories. The dogs come from shelters that have no choice but to euthanize due to over-crowding or because they are shutting down. Rocky Mountain Animal Rescue: Rocky Mountain Animal Rescue is dedicated to rescuing and finding homes and adopters for dogs and cats. We frequently rescue dogs that have been abandoned, found starving, often traumatized and freezing, on the Morley Reserve near Calgary. Not in Calgary or the surrounding area? Canada’s Guide to Dogs has a rescue directory for each province. Want a Great Dane? Check out For the Love of Danes Rescue. A pit bull? How about Pit Bulls for Life Foundation of Alberta? A basset hound? Then there is Calgary Basset Rescue. Labrador Retreiver? See Calgary Purebred Labrador Retriever Rescue, unless you’d prefer a Golden Retriever. Or a Chihuahua? A Jack Russell Terrier? A Daschund? Looking for a bird? How about Birdline Canada Ltd.? By now I hope I’ve sufficiently illustrated that there is an abundance of rescued or surrendered pets out there in need of permanent homes. 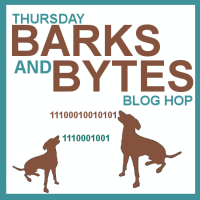 And if this still isn’t your preferred route, there is a large population of reputable breeders out there to apply to as well, and Canada’s Guide to Dogs has an extensive directory for them, too. Section III, General Responsibilities, subsection (g). No breeder shall sell or donate dogs for the purpose of their being auctioned, raffled or to pet stores. So now I’d like to go back to the original question and ask: What exactly am I robbing the City of Calgary of, again?